« What is Tansu in Japanese? Japanese shoji screens were adapted from Chinese folding screens created hundreds of year prior to 400 B.C. Their history dates back thousands of years and has traveled across many different countries with diverse cultures. 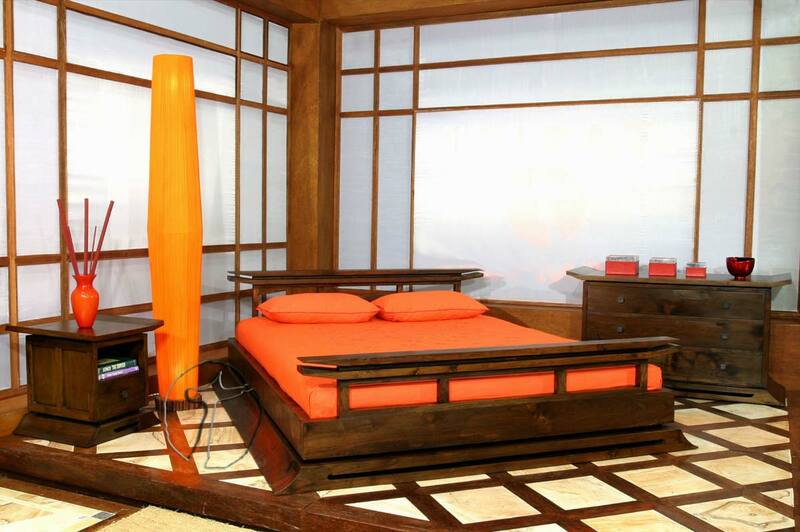 In more recent times, shoji screens continued to be a popular display of artwork and a functional furnishing that can be used as a room divider or partition. A shoji screen is a translucent folding screen that typically acts as a room divider to provide privacy and diffuse light throughout the room. A shoji screen typically consists of a wood frame that is filled in with paper, wicker, or cloth. Traditionally, shoji screens were used as decorative displays that depicted legends and other elements of Japanese history. Shoji screens can also be used to refer to permanent structures like shoji doors and shoji windows which feature the same construction just in the form of a door or window. Original shoji screens were made out of paper screens that were made by applying many different layers of paper in a specific sequence through a technique known as karibari. This is why some people refer to shoji screens as rice paper door panels, rice paper screens, or Japanese rice paper doors. Tsuitate is a single panel entrance screen. Fusuma is a sliding door. 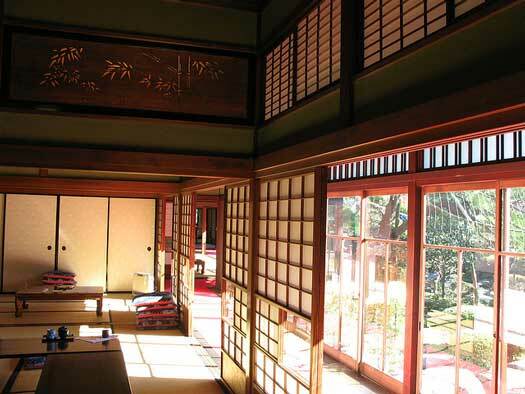 Shoji is the modern term that is used to refer to translucent paper doors and/or windows. Tobusuma is a wood sliding screen. Sugido is a cedar board. 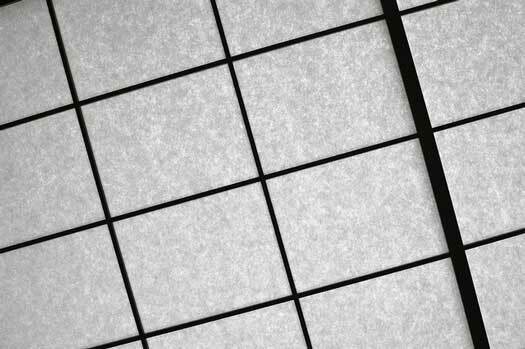 Although most people think that shoji screens are unique to Japanese culture, shoji screens actually stem from an idea that originated in China. Some of the oldest Chinese folding screens that still exist were made in the 8th century AD. The earliest recorded history of folding screens dates even further back to the Zhou Dynasty during early 300’s B.C. Folding screens have also been depicted along tombs walls from the Han Dynasty, dating back to 200 B.C. When the Chinese folding screens traveled to Japan, only then was the modern form of the Japanese shoji screen created. Chinese folding screens were originally used as partitions. Made from wood frames, Chinese folding screens were held together by leather thongs that were tied together through holes in the edge of the panel. Japanese shoji screens were built on a similar basis but they contrasted the original Chinese folding screen in many ways. Chinese shoji screens were heavy and weren’t made to be portable. Japanese shoji screens are lightweight and easy to move, a common feature of Japanese tansu furniture. Chinese screens were made from wood, rattan, and bamboo. Japanese shoji screens were made from rice paper which is why they are so lightweight and easy to transport. Japanese folding screens were used for many different purposes. Japanese shoji screens were used during tea ceremonies, as backgrounds for concerts and dances, and as enclosures during Buddhist rites. Artwork on Japanese shoji screens typically started at the bottom of the screen. This is because it is customary for people to sit on the floor in Japanese culture. Artwork centered on the bottom of the screen so that it would be at eye level. 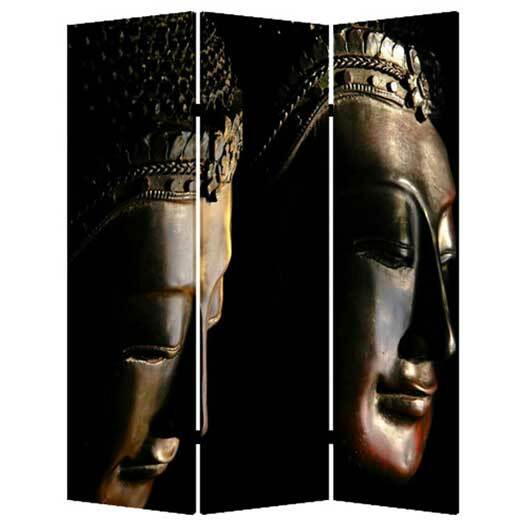 The Buddha Three Panel Shoji Screen. $399.00. Trade between Eastern and Western countries facilitated the spread of folding screens across the globe. In 1543, merchants arrived in Malacca (part of Malaysia) from Portugal. European traders were intrigued by the ingenuity of these folding screens and began adapting them to their own needs. Although this was the first time Westerners were introduced to paper folding screens, they weren’t popularized because of severe trade restrictions that were in place until in Japan until the mid 1800’s. In 1853, Matthew C. Perry landed in Japan. Perry played a pivotal role in the opening of Japan’s borders to the Western world during the Convention of Kanagawa. The opening of Japan’s borders to the rest of the Western world meant traders and merchants would help Japanese shoji screens travel across the world. Europeans were introduced to shoji screens at a time when there was an on-going revival in decorative arts. Back then, wall paper was attached to a canvas and then hung on a frame so it shared a lot of commonalities with shoji screens. The production of shoji screens and wallpaper in Europe became closely intertwined because of this. Western folding screens were more similar to Chinese screens due to their use of framing, vertical composition, and individual panels. They were much simpler than the sophisticated paper-hinged Japanese screens. At one point, Japanese shoji screens started to become so popular that some dealers began to convert wall paintings into shoji screens just to make them sell better. While Western folding screens became a popular do-it-yourself project, Japanese shoji screens remained a coveted item held in high esteem. Japanese shoji screens were revered because of their artistic beauty. They were displayed in the same way that a painting would be put on showcased inside a home rather than being used as an actual partitioning wall. 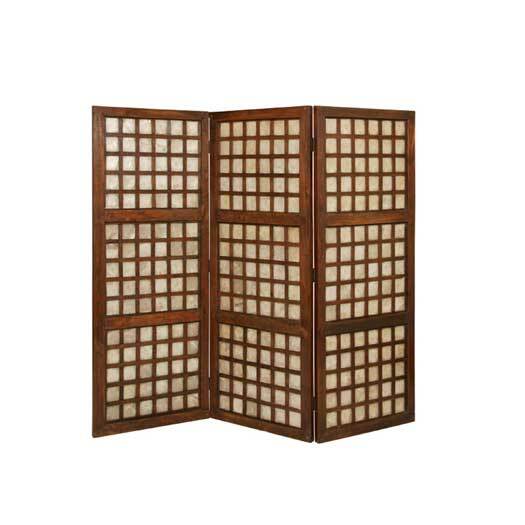 The Capice Square Three Panel Screen is made from solid mahogany and Caprice mother of pearl window frames that are made in the Philippines. $2396.00. Modern shoji screens are still very popular today and crafted even better than they were in the past without losing the original authenticity that they once had. Refined processes have aided the conservation of folding screens. Refined processes make them less susceptible to tears and shrinkage. One way this is done is by layering the paper in alternating grains so that the paper is more balanced horizontally and vertically. Tansu.net carries a wide selection of Japanese shoji screens along with more Westernized rustic screens and artistic screens. Click on the link below to add a piece of history to your home. 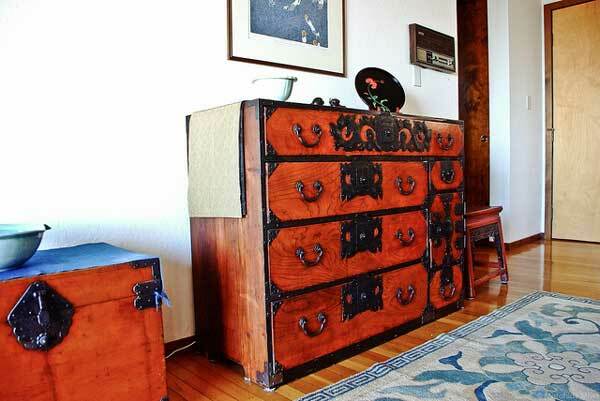 What is Tansu Japanese Furniture? This entry was posted on Monday, November 3rd, 2014 at 6:35 pm	and is filed under Blog. You can follow any responses to this entry through the RSS 2.0 feed. Both comments and pings are currently closed.